And or, a golden retriever standing at 45 cm, stares out into the world and watches all the people with gentle eyes. 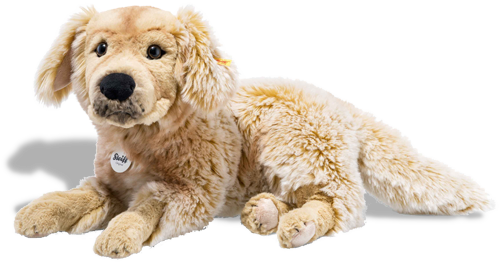 The light-brown dog made of soft and cuddly plush material is a patient and discreet listener. He's also a true friend who never leaves his owner's side. He has bean bags in his ears, making him fun to caress and play with. This beautiful dog is too large for a Steiff gift box and comes surrounded with tissue paper. My mum will love this. Thank you!!!!!!! !